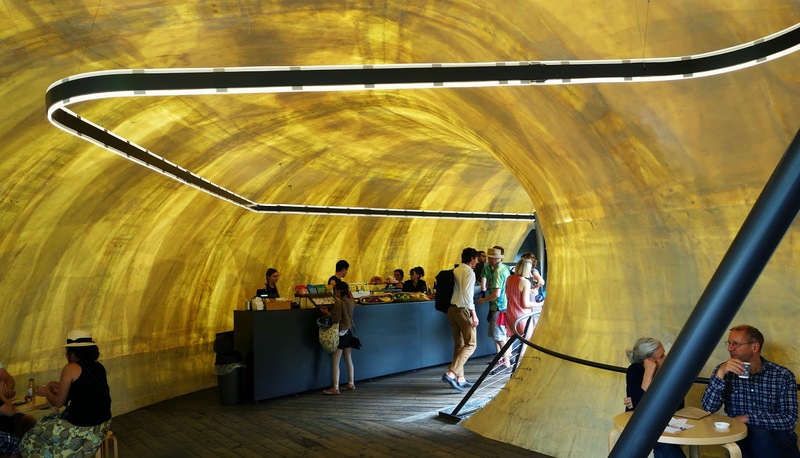 The Chilean architect Smiljan Radic has designed a semi-translucent torus shape that resembles a shell seating on large quarry stones. The envelope of the building is made of 10mm fibreglass which, to me, recalls translucent onyx. 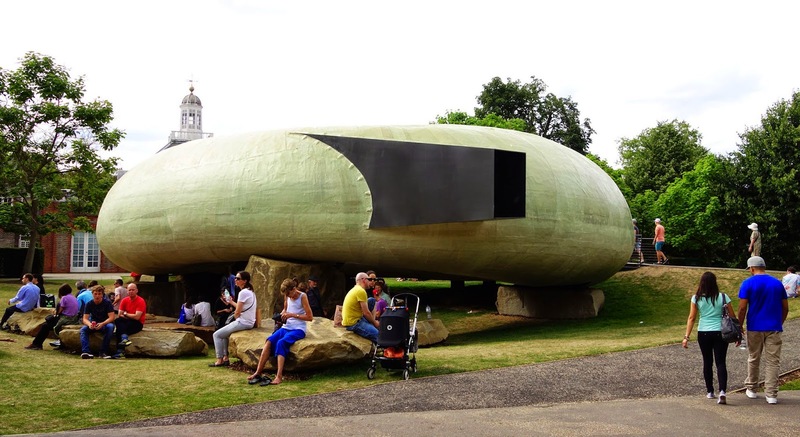 "The Serpentine Pavilion 2014 continues a history of small romantic constructions seen in parks or large gardens, the so-called follies that were popular from the late sixteenth century to the beginning of the nineteenth century. At night, the semi-transparency of the shell, together with a soft amber-tinted light, draws the attention of passers-by like lamps attracting moths."